The Aroon indicator was created by Tushar Chande in 1995. The Aroon Up line measures the strength of the uptrend by measuring the number of periods that have passed since prices reached the highest high in Period + 1 points on the chart. The Aroon Down line measures the strength of the downtrend by measuring the number of periods that have passed since prices reached the lowest low in Period + 1 points on the chart. 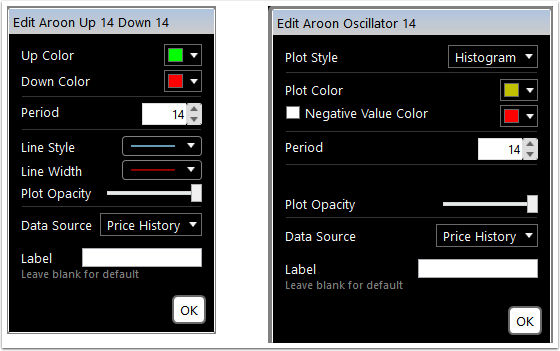 The Aroon Oscillator is calculated by subtracting the Aroon Down line from the Aroon Up line. Where z is the offset. 1 would be 1 bar ago. A 100 period Aroon Down can be written is follows. But the offset parameter can be eliminated because is zero. Which means you can write the 100 period Aroon Up as follows. 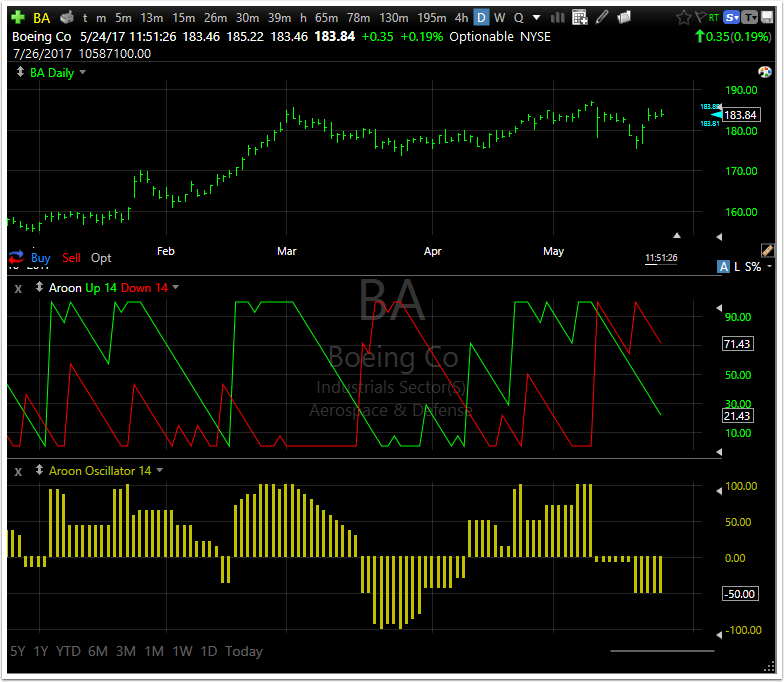 With the 100 period Aroon Oscillator being the following. Read more about Aroon and Aroon Oscillator on Investopedia.